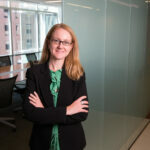 Feldesman Tucker Leifer Fidell LLP Partner Katherine O’Rourke spoke on Friday, May 4th at the Catholic Charities Stakeholder’s Lunch Meeting to 16 Pregnancy Centers regarding custody, child support, and domestic violence. Katherine, a partner in the family law practice at FTLF, practices all aspects of family law including complex financial issues and child-related matters. She has taught many classes and seminars on child protection including Office of the Attorney General Trainings for Social Workers, The Child and Family Services Community Training – Teen Pregnancy, and DC Family Court Training – Permanency for Children Including Termination of Parental Rights and Adoption Issues. You can learn more about Katherine O’Rourke here.